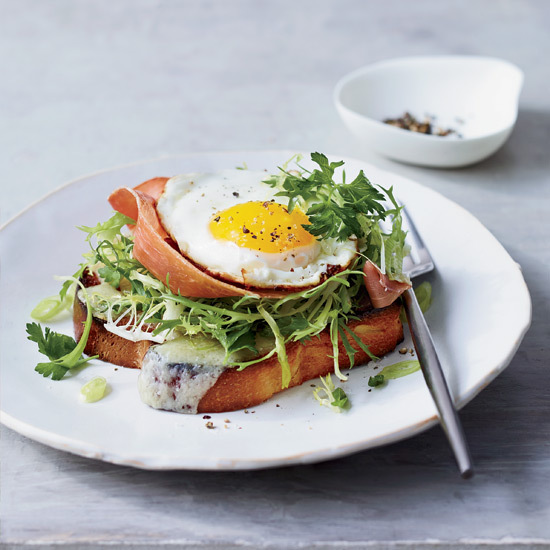 Sunny-side-up eggs, with their tender, fully cooked whites and deliciously runny yolks, make almost any dish better—we have proof. 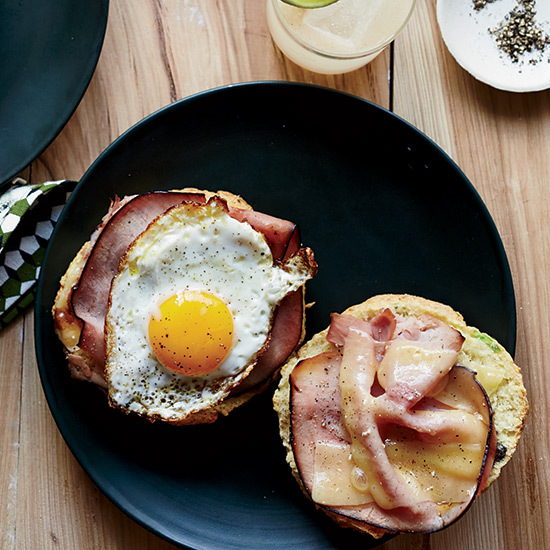 From breakfast sandwiches to pizza, here are ten amazing recipes that star luxuriously oozy sunny-side-up eggs. 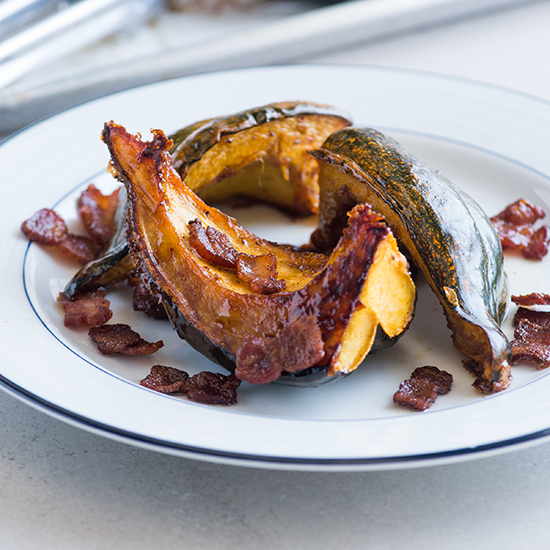 From creamy-flaky quiche to fluffy popovers, here are delicious Easter brunch recipes. 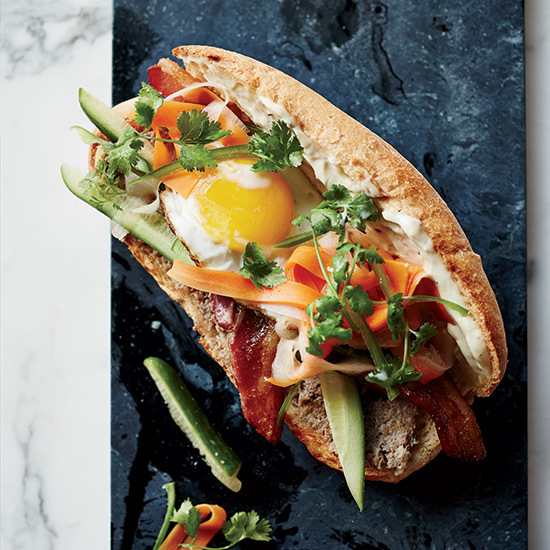 This amazing version of the classic Vietnamese sandwich is made with duck pâté, spicy pickles, bacon and a fried egg. Chef Frank Bonanno transforms pasta carbonara into a pizza by topping a thin-crusted pie with sunny-side up eggs and pancetta. "Scallions are so great with eggs," says chef Will Gilson who adds them to the biscuits for his stellar breakfast sandwiches. 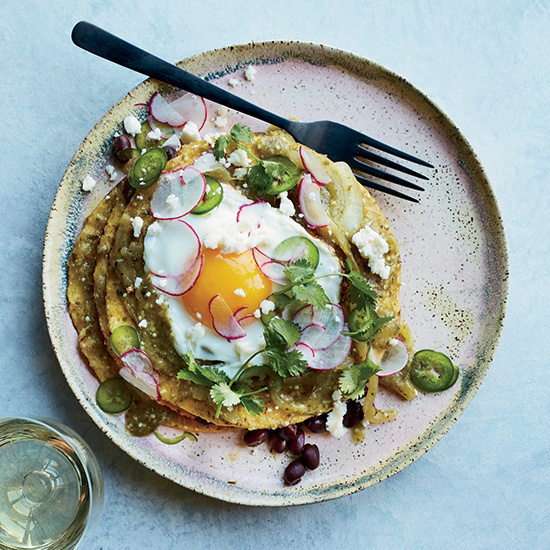 Store-bought tostadas make quick work of these high-rising chilaqiles, which are layered with tomatillo salsa and topped with a sunny-side-up egg. 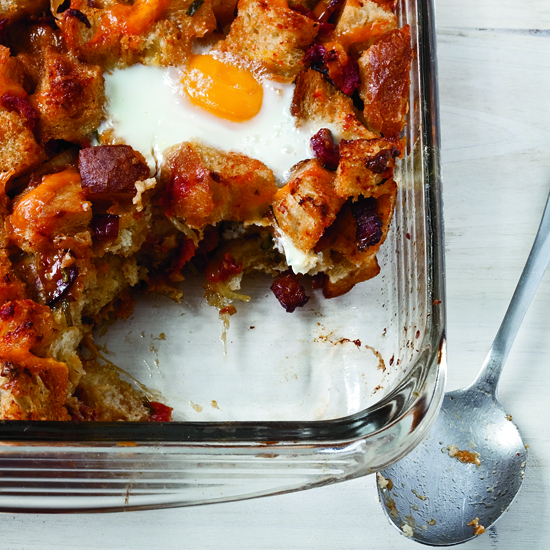 This breakfast casserole topped with runny eggs develops a terrific texture as it cooks slowly in a glass dish (which makes it easy to see when the bottom is perfectly browned). Cooking farro like risotto makes it nutty and chewy. 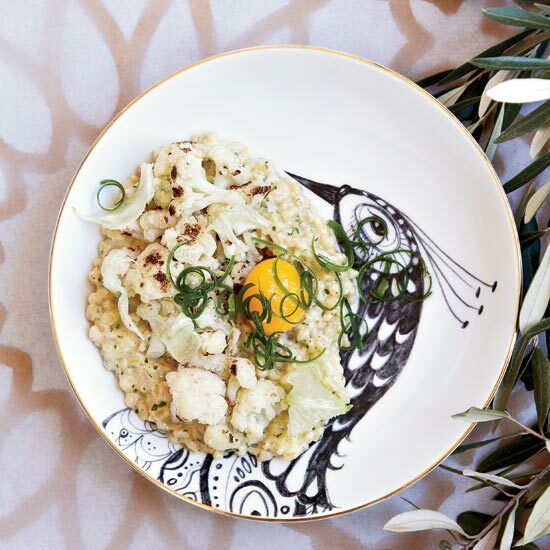 It's perfect with golden cauliflower and a runny egg-yolk topping. 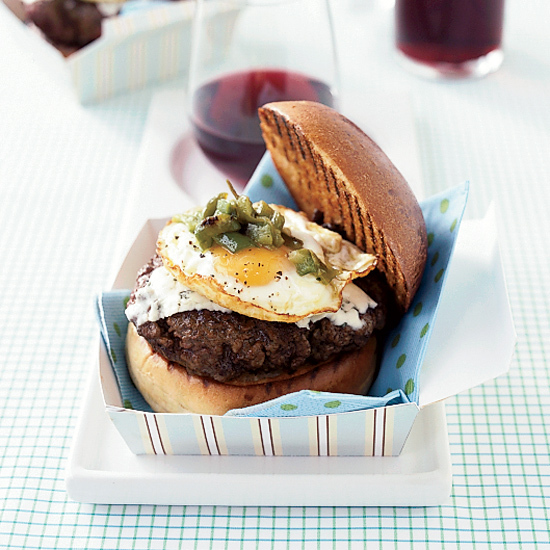 These luscious burgers are ready in just 30 minutes. 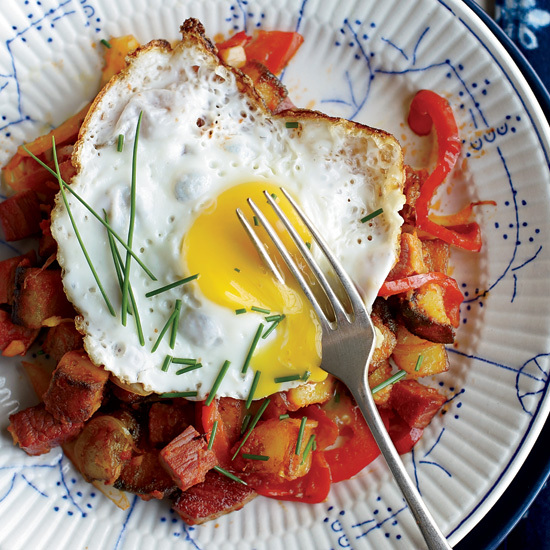 This hearty hash is great for breakfast, lunch or dinner. 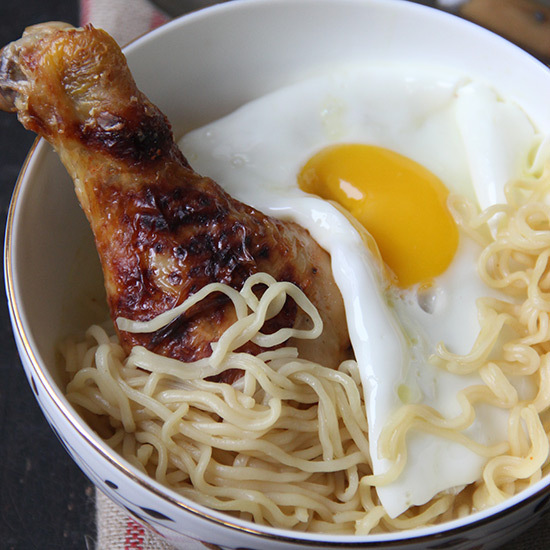 This is one of the greatest ways to use instant ramen noodles.